The ’95 Mariners, Jose, Oscar, The Ripkens and The Dimaggios. | ninety feet of perfection. 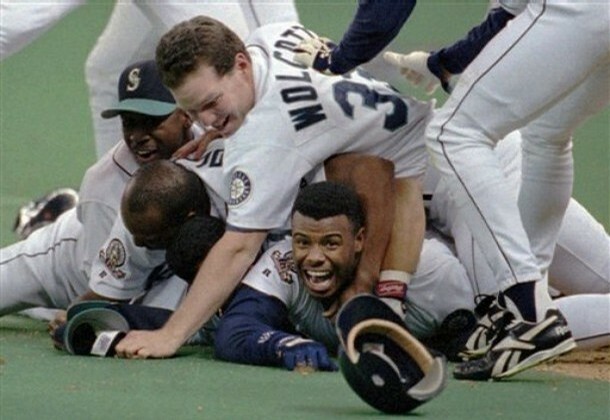 The 1995 Mariners celebrating winning their first ever AL West division title. One of the greatest Baseball moments in my life. It was impossible not to love this team. 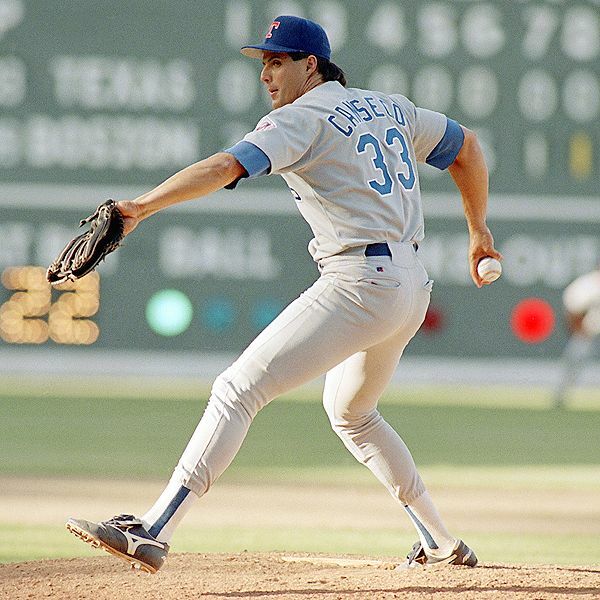 Jose Canseco giving pitching a shot with the Texas Rangers. He later needed Tommy John surgery due to this and was lost for the rest of the season due to the injury. 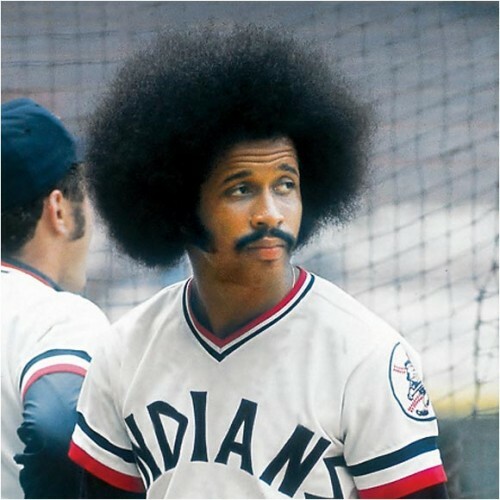 Oscar Gamble played with the Cleveland Indians from 1973-1975. His afro played anywhere it damn well pleased. 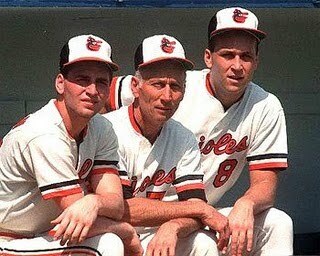 Billy Ripken, Cal Ripken Sr. and Cal Ripken Jr. of the Baltimore Orioles. 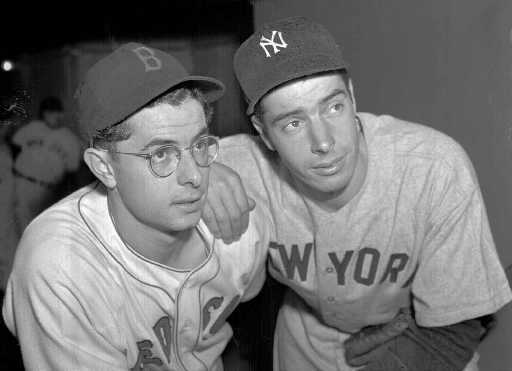 Brothers Dom and Joe Dimaggio. Older brother Vince not pictured.